The 5828DM desk mount kit allows the end user to place the 5828 or 5828V wireless keypad in a convenient location such as on a bedside table. 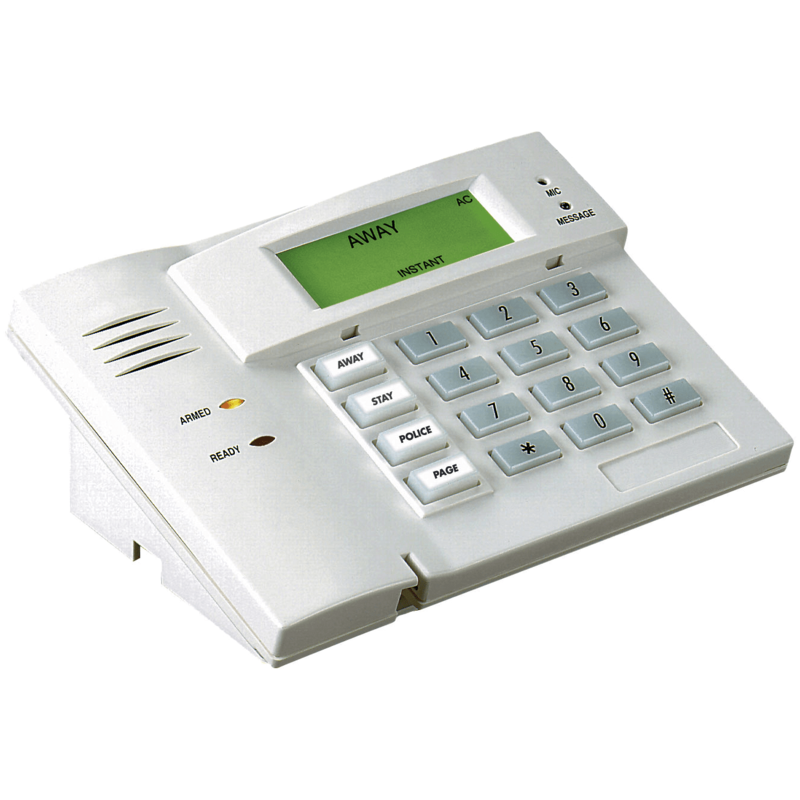 The 5828/5828V keypad can be powered by battery or by AC using the AC Adapter. The 5828/5828V keypad is shipped with a wall-mounting plate that is not required if using the desk mount kit. The 5828DM desk mount contains four rubber feet to prevent slipping or scratching of sensitive surfaces.